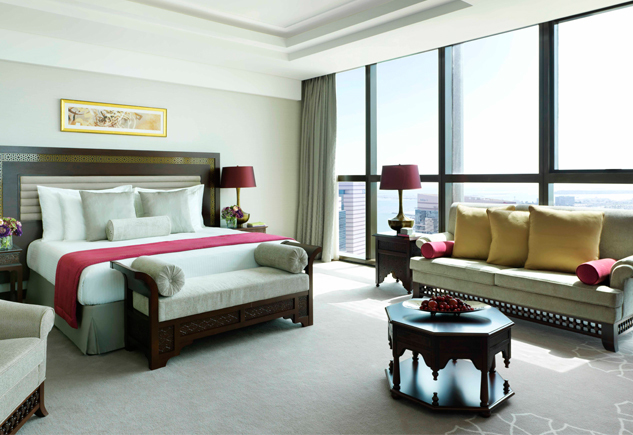 With soothing colours and tones inspired by the region, Superior rooms feature King or Twin beds in a spacious 41sqm. The large marble bathrooms have a rain shower and bathtub. Decorated in warm colours and exquisite fabrics inspired by the local culture and region. 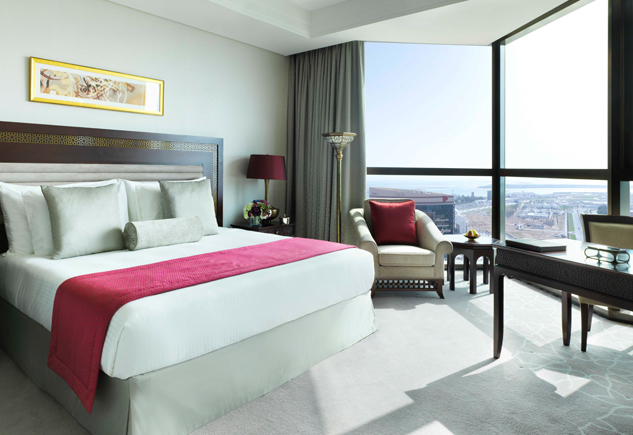 The rooms with its grand 58sqm are featuring either King or Twin beds, a spacious lounge area for relaxation and a work area. 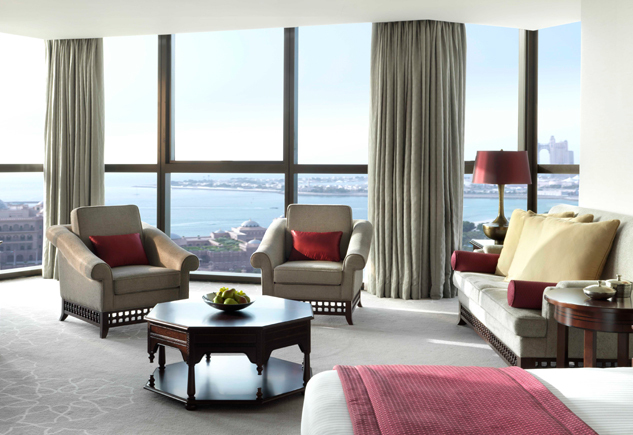 From the specious 43sqm rooms that are designed in a contemporary style with influences of the Arabian essence and a touch of Moroccan spirit one can experience Panoramic views of Corniche or the Arabian Sea. 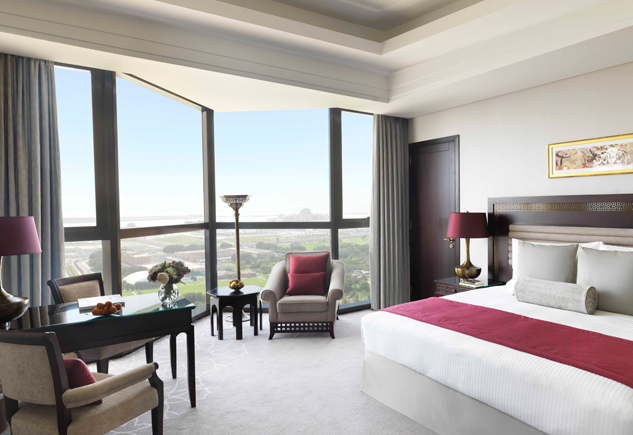 Situated on the 9th and 10th floor of the hotel the Club rooms features King or Twin beds and extensive privileges of direct access and complimentary inclusion to the Executive Club Lounge. The total of 114 suits are all designed in a contemporary style featuring either King or Twin beds, marble bathroom with separate walk-in shower and tub, dressing area, lounge area and work space all delicately selected to give the feel of authentic Arabian hospitality.